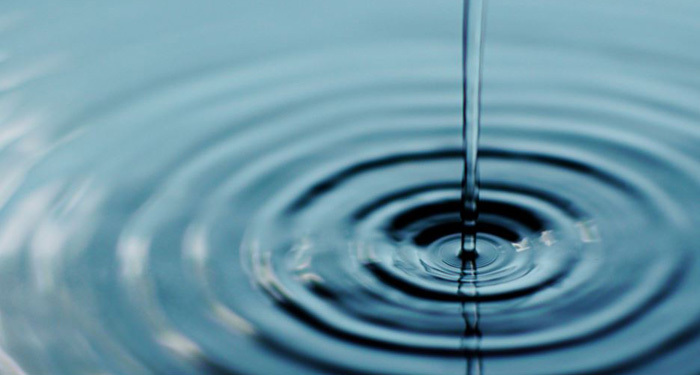 Throughout the past year, our team has started many ripples. By exposing the community to FIRST, helping those around us, and applying Gracious Professionalism and Coopertition in arenas other than robotics, we’ve been able to start something truly amazing. But like ripples in water, the impact of our work doesn’t end when we pack up for the day; rather, the impact continues to propagate throughout the local community. Wherever we go, people recognize our team and that is why we are so proud to be MAYHEMers! Our first ripple forms when we help other FRC teams. It begins at tournaments, where our “roving pit crews” actively seek out rookie and disadvantaged teams with whom we can share our mechanical, electrical, software, and even sewing expertise. As teams learn about our outreach and our willingness to help, another ripple forms. Other FRC teams approach us asking software questions, seeking electrical advice, and expressing interest in our 501(c)3 structure. 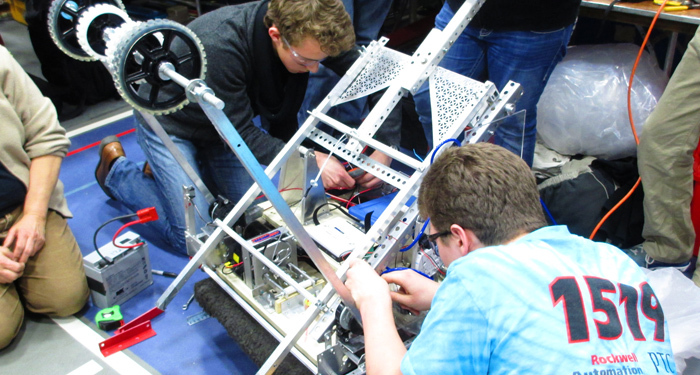 We answer questions at tournaments and over email and also lend parts to other FRC teams. This ripple expands further still as we share our beta testing results. As one of the teams selected to beta test FIRST’s new control systems, we gain many valuable experiences and much knowledge about best practices with the new control system. Our team is eager to share our knowledge and that is why we’ve presented our findings at four Beta talks over the past two years. For the past two years we have shared our bus to St. Louis with the Rookie-All Star winner. It is difficult for them to arrange travel to St. Louis since there are only 10 days between winning the award and leaving for St. Louis. Another ripple starts as we actively seek out platforms to spread the FIRST message. We love showing our robots to those in the local community while spreading the message of Gracious Professionalism and Coopertition. 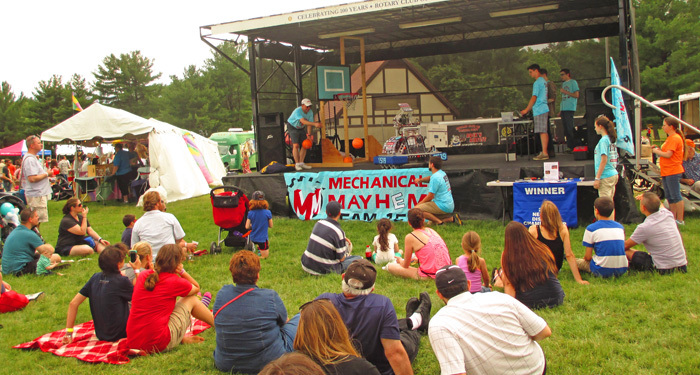 That is why we’ve brought our robot to the Nashua-West Rotary’s Rock’n Ribfest, where 400 people have seen our robot and 55 have driven it. As our reputation for performing outreach becomes more widespread, the ripple continues. Sponsors and organizations approach us requesting a robot demonstration. That’s why we brought our robot to the New Horizons After School Program (where 18 students drove our robot and asked questions), the BAE Family & Friends Day (where nearly 30 attendees competed in our robo-race), the Cirtronics Robot Expo (where 170 employees learned about our team and its values), and the PTC Live Global Exposition (where we demonstrated our robot to 2400+ attendees over the three-day event). Also at PTC’s request, we shared enthusiasm for robotics at the New England Golf Charity Classic Event from which FIRST received $10,000. 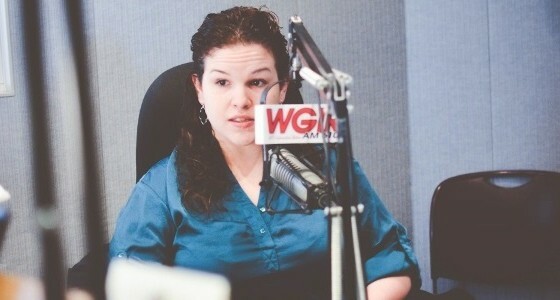 Team members were invited on the WGIR-Tech Talk radio show five times. Additionally, our geocaching travel bugs have created yet another ripple. 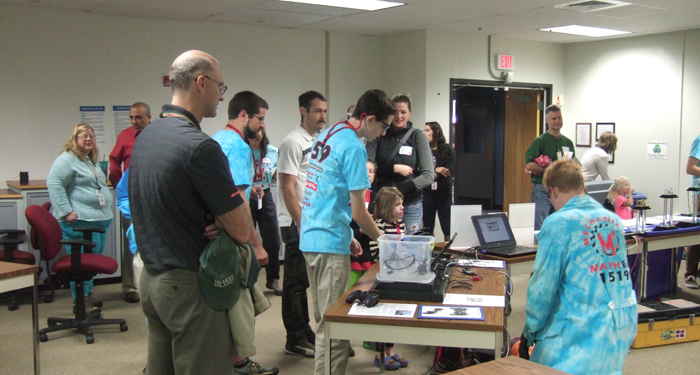 Our ripple with FIRST Lego League begins with mentoring and assisting FLL teams. 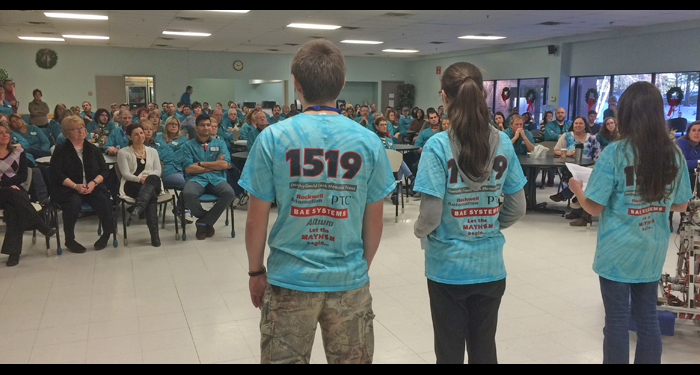 Since our inception we’ve mentored or assisted 34 FLL teams. 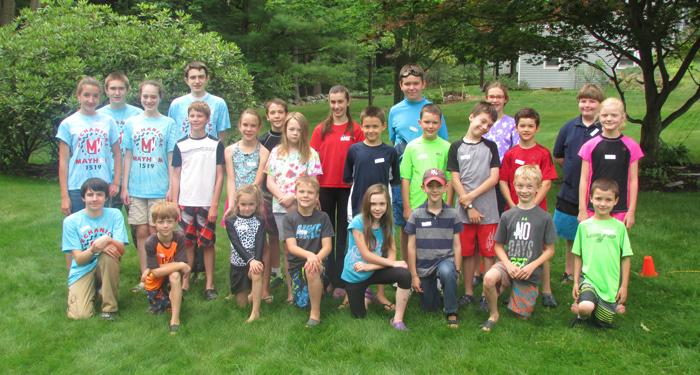 This past year we assisted 6 FLL teams and exclusively coached two award-winning teams: Mindstorms MAYHEM and the Wisdom Hunters. 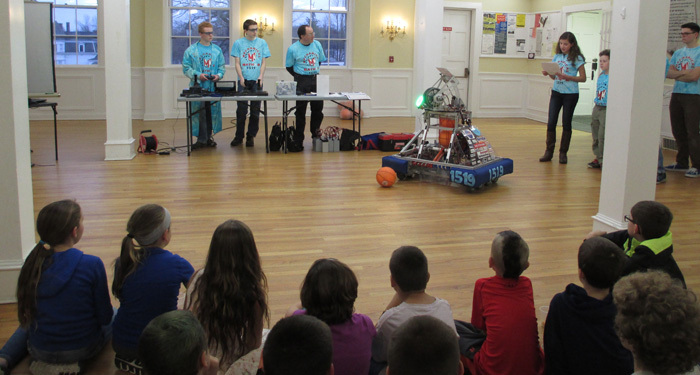 MAYHEMers met with students before, during, and after the FLL season for many hours to coach them on robot navigation, sound construction, and the importance of friendly competition and mutual gain. We are confident that MAYHEM has created not a ripple but a wave. 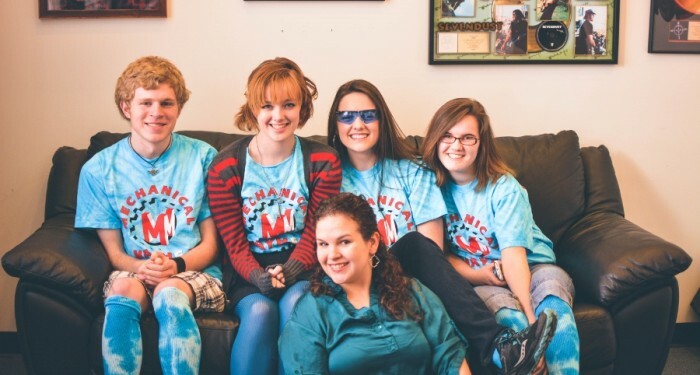 Unlike most ripples where the power diminishes as it grows, the wave that MAYHEM has given birth to grows in magnitude, affecting and impacting more and more members of the community, sponsor base, and local teams as it grows.